Divers Lodge Lembeh, Weda Reef & Rainforest Resort and Magic Bay Villa, Rao. 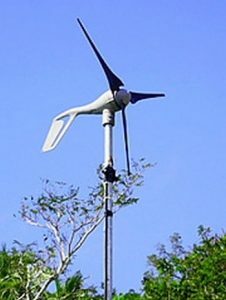 Eco-tourism is not just putting a solar panel on your roof and applying other environment friendly techniques. It is a continuous process of learning, with trial and error. 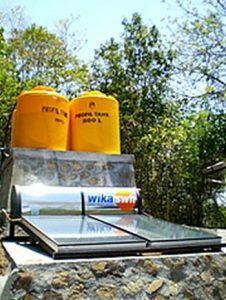 Over the last 15 years we tried to develop a way of working that directly benefits the local people around us in the short and long term. More and more, we have been able to offer education, training on the job and career-planning. By purchasing as many local materials and local labor as possible, we contributed directly to the local economy. We have always been very aware not to disturb the local traditions and way of living, while trying to improve the daily living conditions of the people at the same time. Whenever possible, we work together with other stakeholders such as the media, the Local and National Government, private companies and NGO’s to actively protect the environment and conserve the nature. 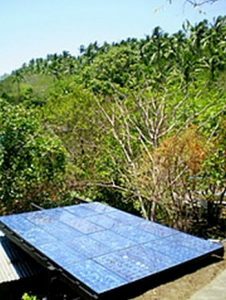 In 2011 we started our Sawai Eco Tourism Foundation to have a legal body for our education and nature conservation projects. Rob Sinke, owner of Divers Lodge Lembeh, was nominated to receive the national award for protection and conservation of the environment: Kalpataru 2010. Earlier he received the Kalpataru of the North Sulawesi Province in 2009. 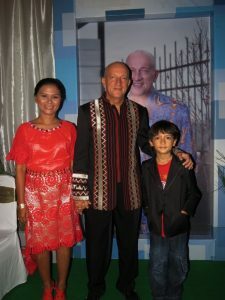 Rob was honoured to receive the “Pahlawan untuk Indonesia Award” out of the hands of the Minister of Environment in 2013. Rob was also a guest in the famous Indonesian talk show Kick Andy, 19 June 2015. The guy on the picture of the video is not Rob ;-). 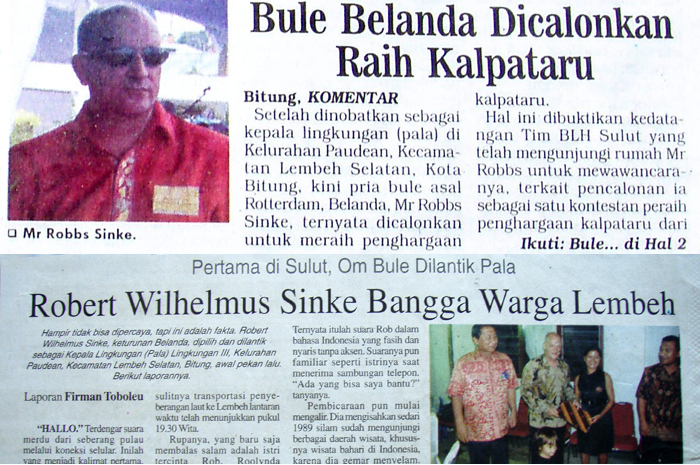 Rob was also officially inaugurated by the Major of Bitung as “Pala” – Kepala Lingkungan (a kind of village leader under head of village) with a broader task to look after the environment of the whole Lembeh Strait/Island. We send our thanks to the government of Bitung and the local people for putting their trust in Divers Lodge Lembeh and Rob Sinke. Below are some examples of eco-friendly innovation/activities used/done by Divers Lodge Lembeh and some environmental care activities for Lembeh Strait. Situated in a beautiful natural settings of 25 hectares of forest and mangroves and surrounded by the sea of Lembeh Strait, Divers Lodge Lembeh is dedicated to maintain an Eco-friendly (environmentally friendly) dive resort on Lembeh island by implementing eco-friendly technologies such as a Solar Water Heater to provide warm shower in the resort, Ultra low emission outboard engines on all of our 9 dive boats, and Solar Power and 2 wind turbines to partly provide the electricity. Divers Lodge Lembeh actively installs moorings in Lembeh Strait since 2003. Starting 2007, Rob Sinke the owner, invented a better way to make a stronger bouy with low cost. 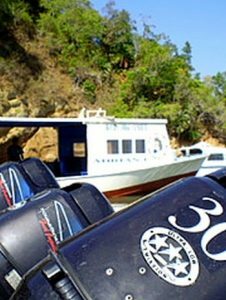 Rob then start making some bouys (financing it with private budget) and installed them at several dive sites. This project was very successful and dive boats and local traditional fishing boat used the moorings often. Rob then started promoting it to resort/divecenters around Bitung/Manado – to participate in building more moorings (1 mooring per resort). There are also some guests donating. Now, there are at least 30 moorings installed all along Lembeh Strait and all are well used and maintained. Divers Lodge Lembeh is always on the “green side” participating in the Cleaning up Lembeh Strait program held by the city council of Bitung, and quickly reports to the responsible officials if there is any industrial pollution in the area. 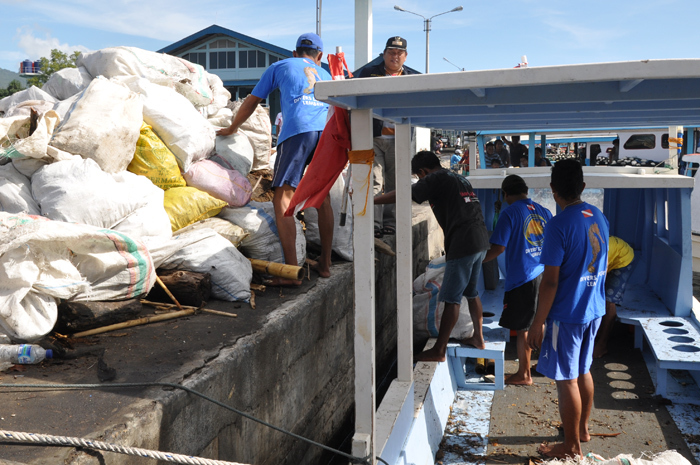 Thanks to the government of Bitung for their successful program of “Healthy Life & Environmentally friendly”, everyone can now see that the city has become much cleaner than before and there is considerably less trash in the water. This illegal fish trading case occurred in 2007. On the way back home, in the harbour, our staff noticed a car fully loaded with plastic bags. Our dive guides then realized that those plastic bags were actually filled with fish ready to transfer somewhere else. 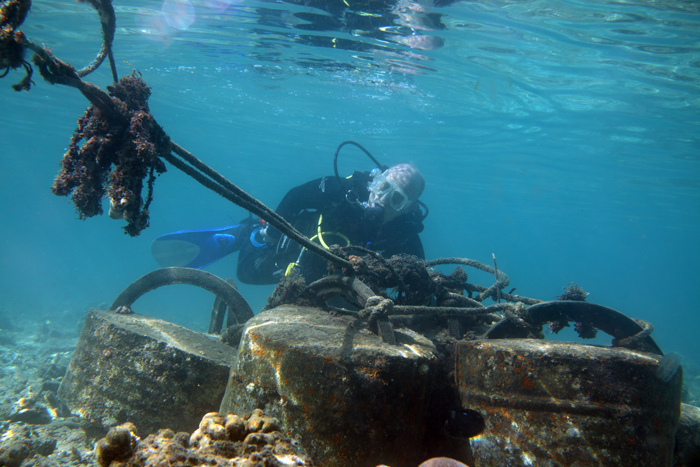 Andris, one of our dive guides, immediately contacted Rob, whom then contacted the local authorities. The local police managed to arrive just in time and get all the fish onto the boat of Divers Lodge Lembeh. We released them back to the sea together :-). Since then we haven’t heard of a similar case. We have turtles visit our beach almost every year to lay eggs and together with the staff we release all the baby turtles to the sea. We also adopted a few captivated turtles and directly released them back to the sea. 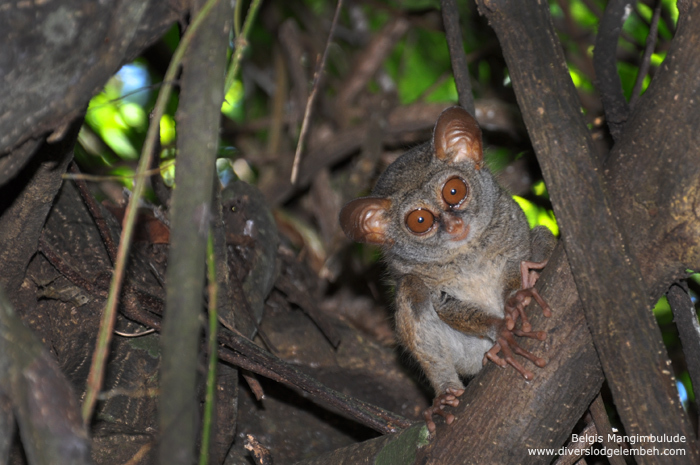 The forest around our resort is also inhabited by many Tarsiers, one of the smallest primates in the world. We do not keep them in the cage but leave them in nature. Everyday we hear their high-pitch whistle voice but only with a bit luck you can spot them sleeping in the trees or sitting on tree branches with their big eyes wide opened :). They used to appear with a whole family of 5-8 on the big tree on our beach, especially early in the morning or late afternoon. But after a storm they moved from this tree. Other inhabitants are monitor lizards, civet cats (rarely seen), some snakes, many birds, butterflies, beautiful insects and many other amazing wildlife and vegetation.